Interior: Small, bright, heavy tables and chairs and benches with rigid edges. I've sat at the chef's counter 3 times, and the tables in the back once. The chairs at the chef's counter are all really close together and are actually very heavy to pull out, making it a little difficult to get in. 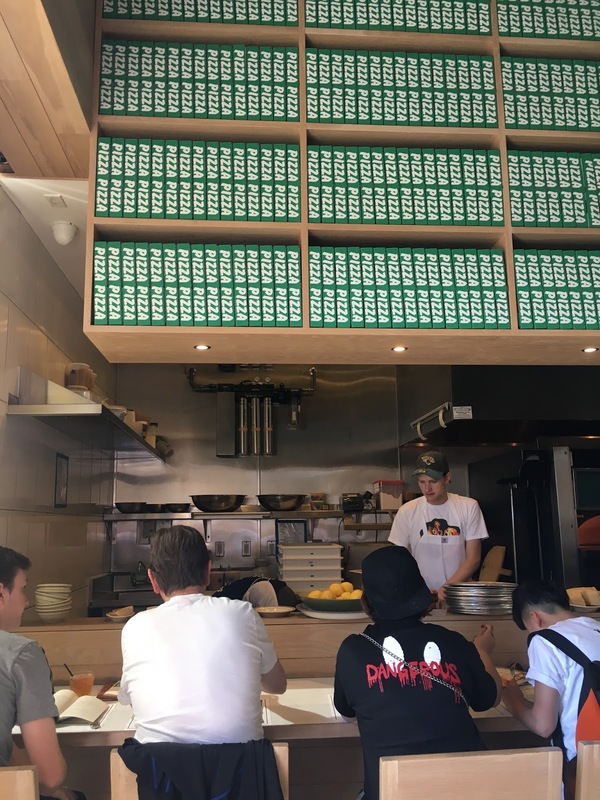 It is sleek decor though, and the green pizza boxes above the chef's counter seem like they would make a good (basic) Instagram. The cooks and waiters are all wearing custom J&V shirts, my favorite of which is partially shown above, with the Lady & The Tramp spaghetti scene on the front side, and a kitschy J&V logo in cursive on the back. Menu: Salads, bruschetta, meatballs, pasta, pizza, polenta. I've only had two salads, the meatballs, chicken parm, bolognese, the spicy pasta, and two types of pizzas. Also a thorough dessert menu, of which I've ordered the affogato every time, and tried the cheesecake once. The affogato is Strauss creamery soft serve, and some good espresso of unknown origin, overall truly amazing. 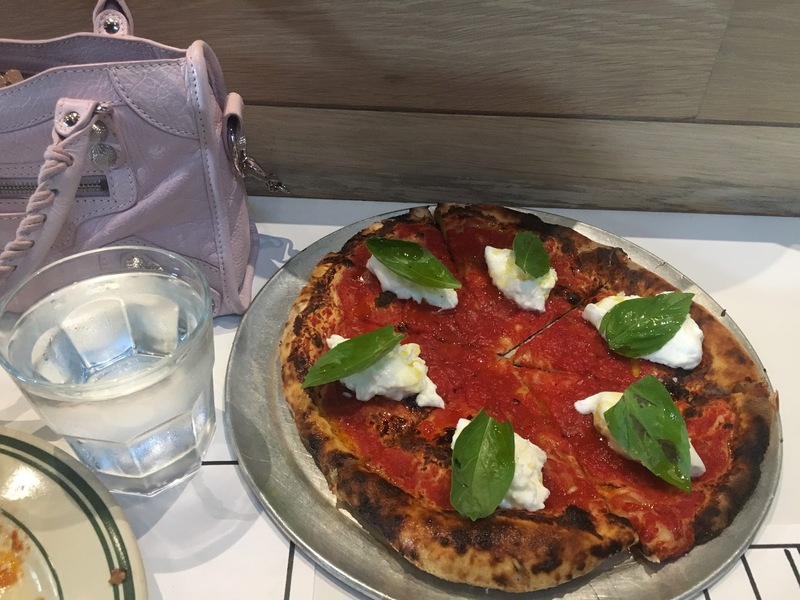 The LA Woman pizza: Honestly LIFE CHANGING pizza. #1 pizza I've ever had in my life. What's so good about it you may ask? Besides the fact that it's Kanye's favorite pizza (not actually confirmed), do you SEE that separation between the slices? It's perfectly sliced! AND the slices don't stick together because the dough isn't sticky or gooey. It's thin and still the perfect consistency that it doesn't just flop down from the weight of the cheese. Oh, the cheese. 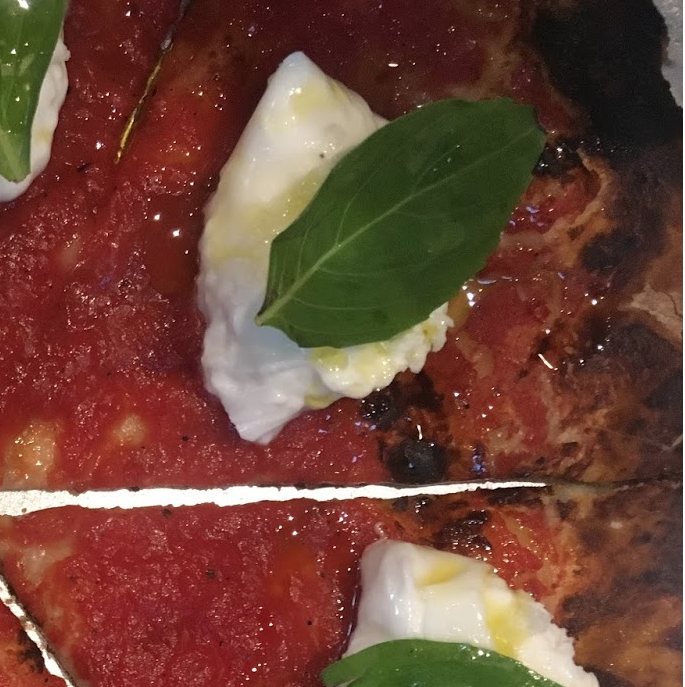 The fresh burrata that spreads perfectly on your pizza with the help of a butter knife. 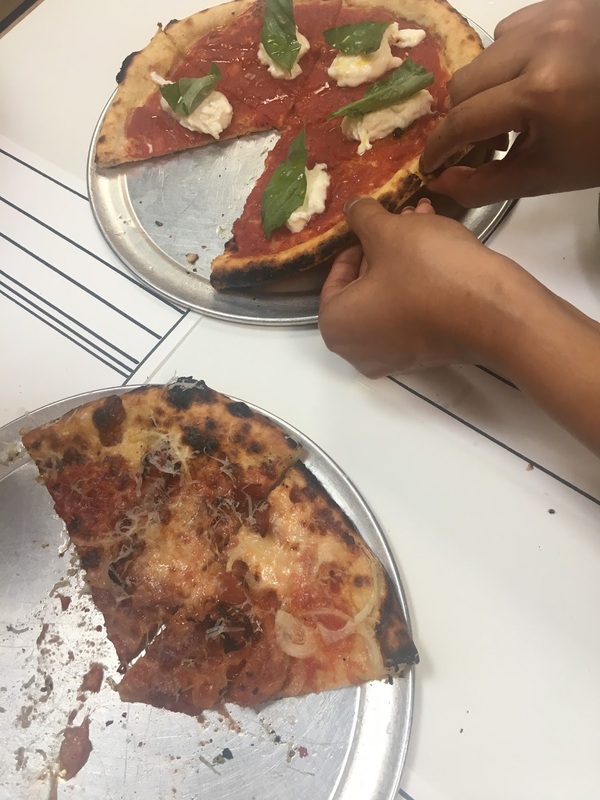 The pizzaiolos bake a marinara pizza (just crust and sauce) and add the fresh burrata and basil and olive oil after it's done cooking. 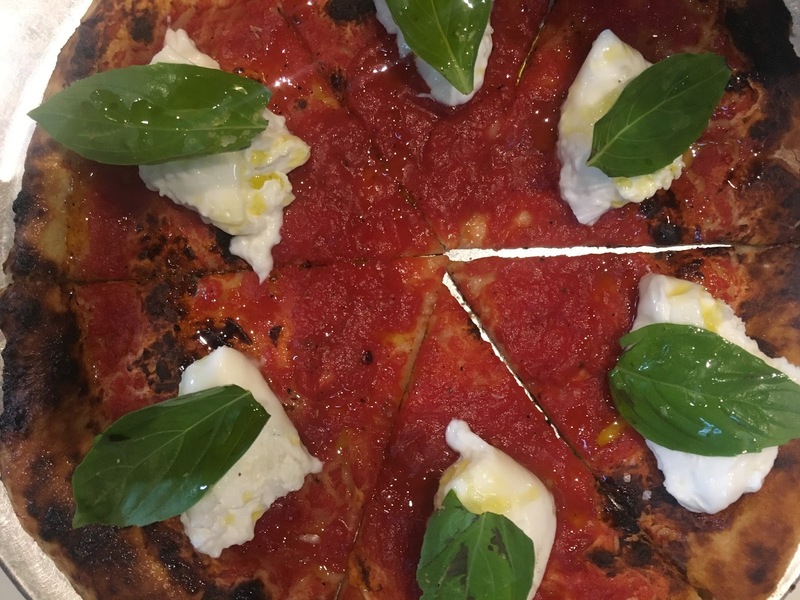 The burrata is still cold on this cooked pizza! The temperature sensations alone are divine. The texture and firmness of the crust paired with the softness of the cheese bring it to another level. The TASTE is what elevates it higher to the #1 pizza in the world (so far). Instagram Opportunities: I actually haven't posted any actual Instagrams of this place. Maybe I will when I finally announce my blog to my Instagram. 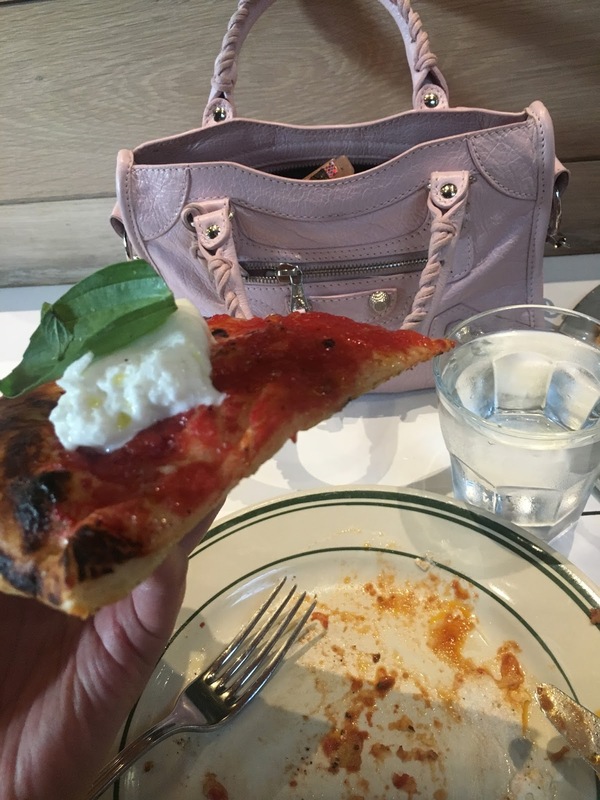 The first time I went, I thought about Instagramming the photo above with the green pizza boxes, but then decided it was too basic (it is). It's hard to get a good flat lay of your table when you are sitting at the chef's counter. Possibilities include a close up of the beautiful burrata and golden crust. 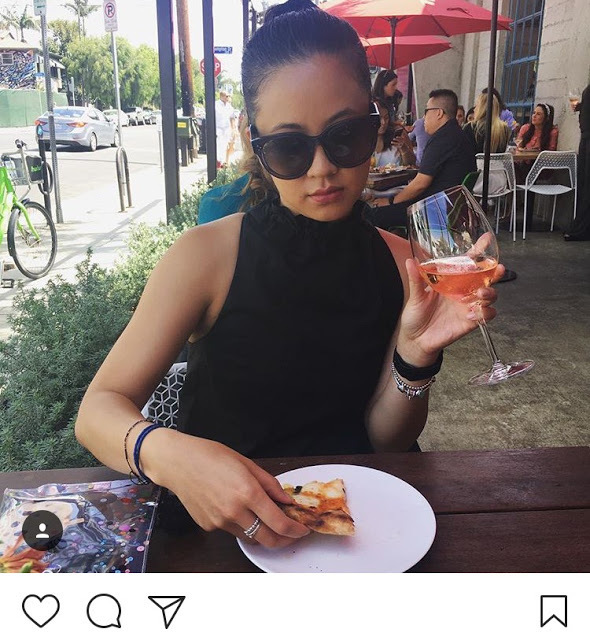 This last time I went, I tried to get a selfie of me chomping into the pizza, because I knew Andrew would not want to take a picture of me at the Chef's Counter, but it didn't turn out well at all and only emphasized my giant forehead. 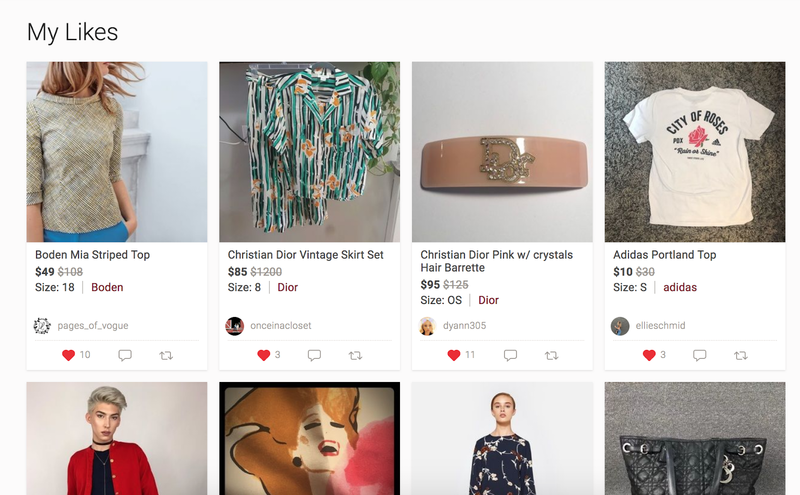 I'm thinking I'll have to go with a close-up, or somehow edit the one with my Balenciaga purse in the background. The vibes of the place do not lend themselves to a lot of obnoxious picture taking, due to the sometimes-celebrity/celebrity-wannabe clientele (it's on Fairfax), and the small space generally. The vibes, at least at the chef's counter near the peasants without reservations, are the "we are all too cool to be taking photos of food" kind of vibes. This pizza changed my life. Would have gotten a third PLUS if it were friendlier to picture-taking.